Packages and prices, what to choose? 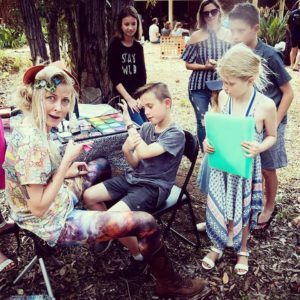 For something a little quirky and different, Book Betty Bubbles for your next amazing event and let the magic and creativity begin! WANT TO ORGANISE SOMETHING DIFFERENT? Get in touch with Betty Bubbles for a custom quote, tailor made to your party requests! 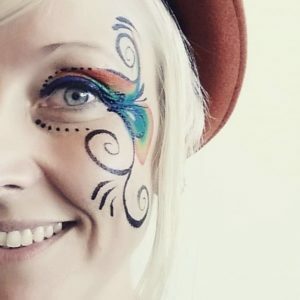 Delivering exceptional Face Painting and Body Art with a heartfelt connection and service, right to your doorstep in Perth WA and beyond. Quite possibly the biggest bubbles you have ever seen! 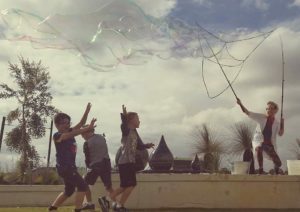 Time Literally Stands Still When You Witness These Giant Bubbles! “Betty was so incredible!! We hired Betty for a festival themed Hens Party and she nailed the brief! The guests all looked brilliant, she is so talented!! Belly Painting – A Wonderful Gift For Mothers To Be. When it’s time to planning a baby shower, blessingway or baby blessing, here’s a wonderful option that really encapsulates the female spirit and goddess energy.